How Zero Scoring in Tennis Called as Love? What is Love-Love in Tennis? How Love is Used in Tennis Scoring System? If you are playing a game of tennis since last few years, you must be knowing the actual meaning of “Love” in Tennis. But if you are a beginner level player and have just started practicing the game, then you must be confused about the term which is often used throughout tennis gameplay. That term is “Love”. You obviously know the real meaning of Love which means a strong affection about the person or a thing. But in tennis, its meaning is different. 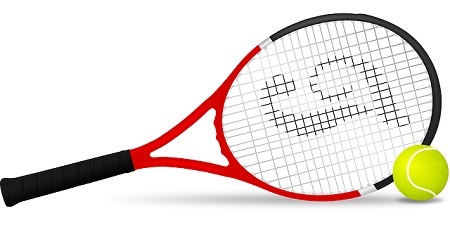 The word “Tennis” itself has originated from the French word “Tenetz” meaning “Hold”. Even another tennis term “Deuce” has come from the French word “a Deux Le Jeu”. If you search for any alternate meaning of “Love” in an Oxford Dictionary, then you will realize it has not any other meanings other than “Love” itself. 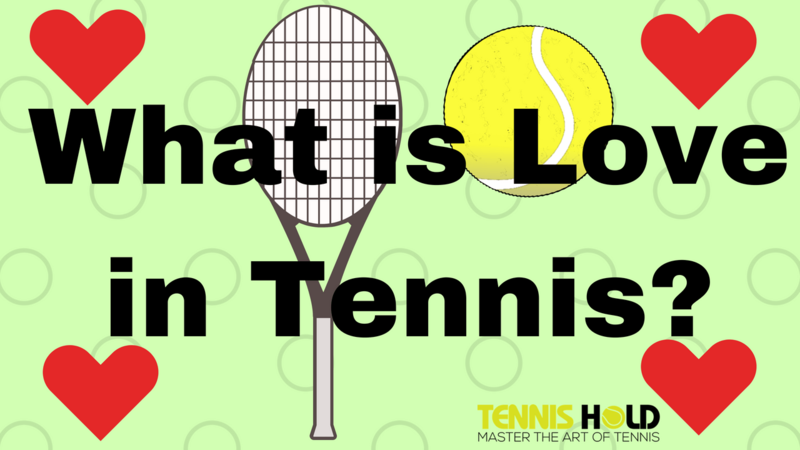 Read more about dictionary references for the term “Love” in tennis at Dictionary.com. Then we must wonder how the heck the term “Love” comes in tennis? Its ironic that zero score in tennis is associated with the term “Love”. I often wonder how a zero score is attached with love and any player can still play with zero score on the court. Maybe it is an affection or “Love” about the game which keeps the player to continue his/her game till the end. You can also watch the following funny explanation video which tells you why "Love" is perfect fit for Tennis Scoring System. Most Etymologists say that the origin or history of the term Love comes from the French word for an egg which is “l’ouef”. Here, we can say that an egg is associated with number zero. And in tennis, the score zero is called as Love. This is a close resemblance to the term “Duck” which is used in the game of Cricket. Whenever a player in the cricket gets out on a zero score, the term “Duck” is used for that player. Tennis scoring is actually based on quarter hours of a clock face. The score numbers involved in this scoring system are 0, 15, 30, 40 and 60. The score 40 was not there initially. Instead, there was 45 but it got truncated to 40 later on. If you do not get any points in the tennis match while your opponent wins that particular set, then score zero is displayed on the clock face. This zero is displayed in oval egg shape. And as earlier discussed, this oval egg is known as “L’ouef” in French. So, if you get “no points” then you get zero which synonymizes with French term “Love”. If you are already aware about the tennis scoring system, then you must have known to win a single set, you need to win at least 6 games. Here, the term “game” is referred to reaching the last score i.e. 60. In order to win a single game, you need score 4 sequence match points. This 4 sequence match points consists of 0, 15, 30, 40, and 60. The “0” is referred as Love and 1 is related to 15, 2 is related to 30, 3 is to 40 and 4 is to 60 which is a game point. When match referee announces the score during the match, he/she provides the score for the server first and then for his/her opponent. If your serve gets first point and your opponent has none, then the match score is displayed as “Fifteen-Love”. This means, as a server you have obtained 15 points for a successful serve and your opponent has got zero score. Ironically, we can also say that the player who has not scored any points yet, he stays and plays till the end due to his/her pure love for the game. To play for the sake of love is what matters in the end. So, Love can also be exemplified and can be connected to the score of zero in tennis in this way. This also indicates a fact that love means nothing for a tennis player which also means a score of zero for the player in the tennis. “Love-Love” or “Love All” is also the term which is used during the game. This purely means that both the tennis players are yet to obtain any scores. And both of them have got zero points. “40-Love” is another example that can be mentioned to understand Love scoring system in tennis. This score simply means the server has got 3 match points (score of 40 means 3 match points.). And the opponent has got zero points (Love equals zero score). In terms of winning the set, the score can be displayed as 6-0. This is called as “Six to Love”. It simply means you need in total six games to win one single set. So, if a player has won 6 games and the opponent has not won any, then it can be termed as “Six to Love”. Love simply means zero score in tennis. But it has multiple meanings at different stages of the game. A server, whoever is serving first in the game has been given first preference for the score to mention. This means that if he gets first point on his serving, then he gets score of 15. Then match score is displayed as 15-0. This is also called as “15-All”. If the player gets two points and the opponent gets none, then the score is displayed as “30-0” i.e. “30-All” or it is also called as “30-Love”. Similarly, the tennis scoring system is often mentioned as follows. There are in total five sequence points in the tennis game. The game scoring starts from zero point which is called as “Love”. Then as the player wins the first point, he is awarded score of 15, then 30 and so on. Finally, when the player gets fourth (or fifth) point in the game, he gets the game point or the score of 60. At this stage, the player wins that particular game. In this way, you need minimum 6 games in order to win 1 single set in the game. If you win 6 games in a row and the opponent wins none then the scoreboard is displayed as “6-0” or “6-Love”. There are 3 other terms that are used in the tennis scoring which are “deuce”, “ad in” and “ad out”. Deuce is basically used when both the players reach the score of 40 at any given time in the game. After that whoever player wins his/her serve point, he gets the score of “Ad in” or “Advantage in”. On the other side, if that player loses on his/her serve, then he/she gets the score of “Ad out” or “Advantage Out”. “All” term is used when both the players get the same score. E.g. if a Player A gets the score of 30 and Player B also gets the same score of 30, then the score is displayed as “30-All”. Now, here is a very interesting thing about “Love”. If you make the scores first and your opponent fails to make any, then those scores can be displayed as “15-Love”, “30-Love”, “40-Love”, etc. On the other side, if your opponent wins every score in a game, then it can be displayed in reversed such as “Love-15”, “Love-30”, “Love-40”, etc. Plus, if you play and win first 2 games and your opponent fails to win any, then the scoreboard is displayed as “2-0” or “2-Love”. Similarly, if your opponent wins first 2 games and you win none, then the score is displayed as “0-2” or “0-Love”. So, all in all, we have learned quite a lot about the term “Love” in tennis. It is basically equivalent to the score of zero in the game. We learned what was its origin and its dictionary definition. Then we also came to know why zero score is called love in tennis. After that we learned why and how “love-love” term is used in tennis. In the end, we delved deep into the actual implementation of the term “Love” in the game of tennis. I hope you have understood the term very well by now and you can quite confidently use this term whenever you are playing or watching tennis next time. Why Zero is Called Love in Tennis? Babolat Drive Max 110 Tennis Racquet Review – Is It Still Worth Buying in 2018? Babolat Aeropro Drive GT 2016-2018 Tennis Racquet Review – Is It Still Worth Buying? © Tennis Hold, 2018. Unauthorized use and/or duplication of this material without express and written permission from this website’s author and/or owner is strictly prohibited. Excerpts and links may be used, provided that full and clear credit is given to TennisHold.com with appropriate and specific direction to the original content. TennisHold.com is a participant in the Amazon Services LLC Associates Program, an affiliate advertising program designed to provide a means for sites to earn advertising fees by advertising and linking to (“TennisHold.com” (Amazon.com, MYHABIT.com, AmazonSupply.com, or AmazonWireless.com).